Shin Fujioka – president and CEO of Mitsubishi Motors Canada – takes his Eaton quick-charge station for a spin. The government of British Columbia announced this week that it will install Canada’s first network of DC quick-charge stations for electric cars. 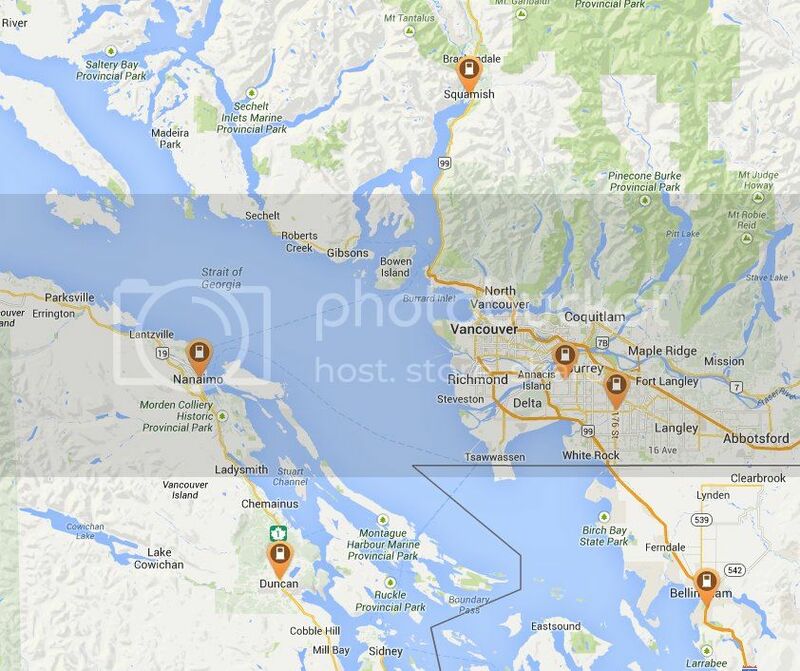 Currently, BC has 5 quick-charge stations, while the rest of Canada is eking by on somewhere between one and two. The plan calls for 13 stations to be manufactured by ABB and Eaton and installed by BC Hydro in the Greater Vancouver Area, the Fraser Valley, along the “Sea to Sky Highway” that leads to Whistler, on Vancouver Island, and in the city of Kamloops. The network will be managed by San Francisco’s GreenLots. The stations will be leased to local governments, but BC Hydro has not yet announced whether there will be a cost to use the stations. Initially, the stations will offer only the CHAdeMO charging port, but Combined Charging Standard (or CCS) ports will be added as compatible vehicles hit the road. This network will connect BC with the West Coast’s “Green Highway”, giving EV owners an EV-friendly corridor down the coast. 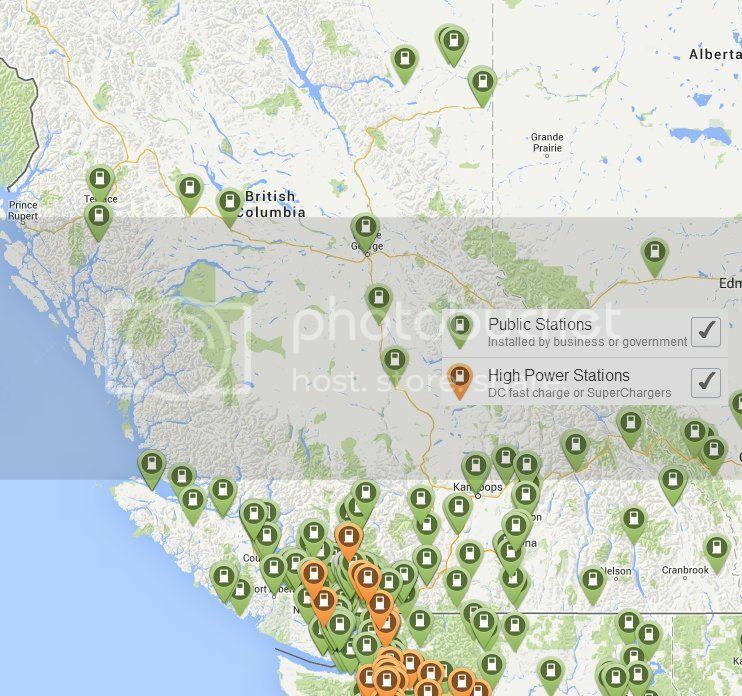 1 Comment on "British Columbia to Get Canada’s First Quick Charge Network"
Here’s what the all of the chargers in BC look like. And here’s a zoom in of the 5 DC Fast chargers.